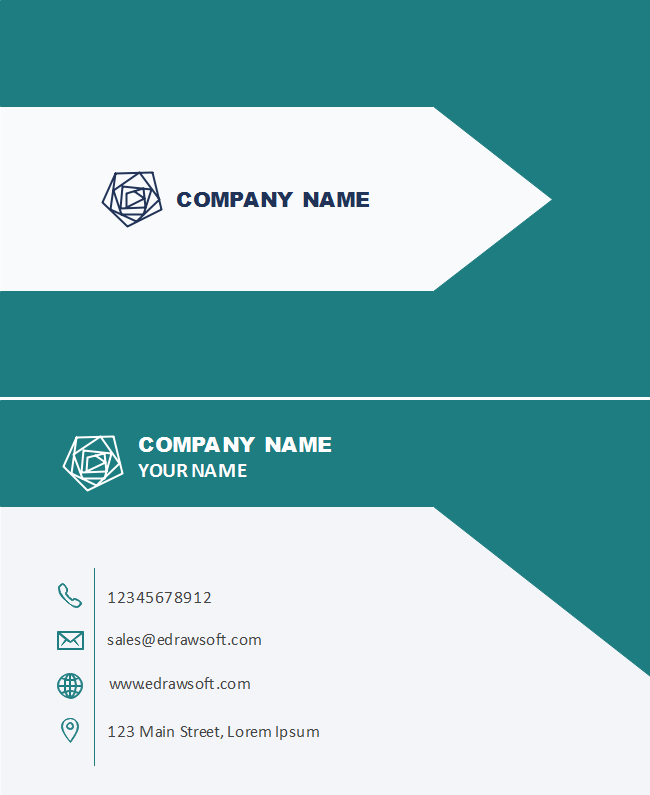 Description: Use this environmental cadet blue background white arrow business card template to promote your energy clients. Feel free to resize and move any of the preset elements based on your preference. More editable features for you in the full version.